Well it’s that time again, happy Wednesday everyone! I’m very excited to share this outfit with you! 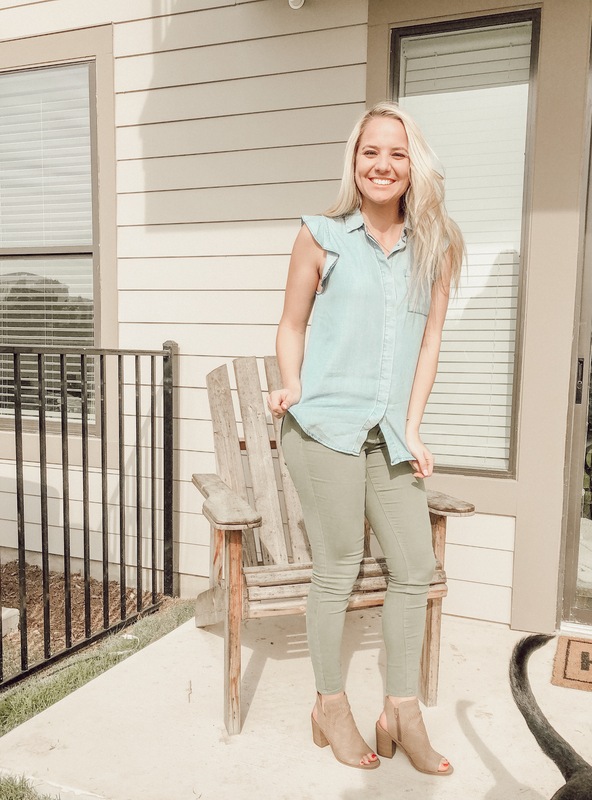 You guys already know how much I love Target and Old Navy so creating an outfit incorporating both is so easy and fun…&& something I usually do haha. Just follow the links below to each piece of clothing. 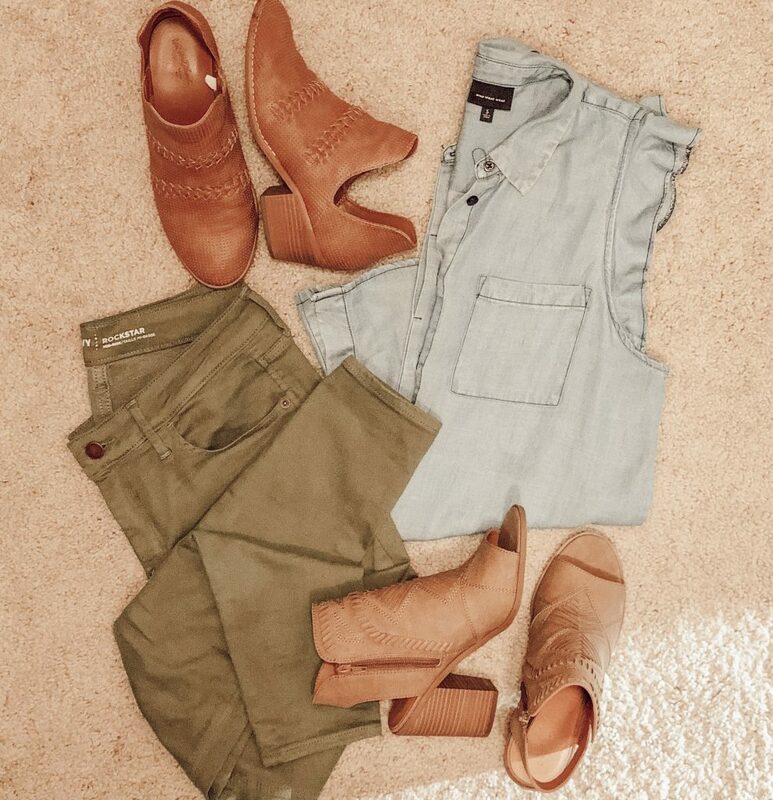 I think my favorite part of this outfit is the shoes…definitely the shoes! They are the Universal Thread brand from Target && only $34.99! That brand runs slightly big, I would suggest to size down a 1/2 size in their shoes. I usually wear an 8 so I got a 7 1/2 and they fit perfect. You can really wear these with anything – I image wearing them with shorts, jeans & tee’s, dressing up an outfit for work maybe…so many possibilities. They were harder for me to find in store, obviously doable, but online may be your best bet. I’m also obsessed with these booties from Target (pictured above) they also come in black. I’ve been wanting a pair of colored “jeans” especially ones I can wear to work by dressing them up a little. I know we are all in different professions but this is an outfit I could wear to work, that I’m excited about! The green were an easy choice as I love the color green however, Old Navy had so many different colors to choose from. 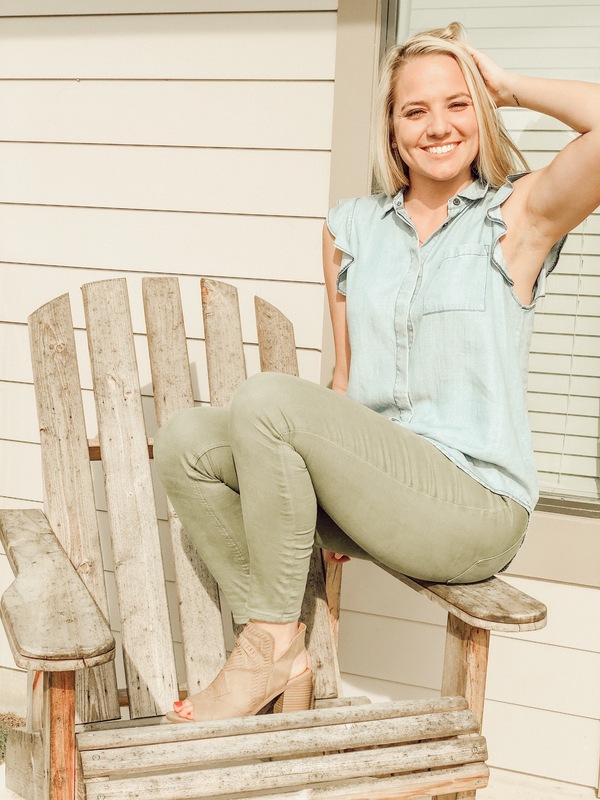 They are the Rockstar Mid-Rise Super Skinny jeans && currently $29 online (Olive color). 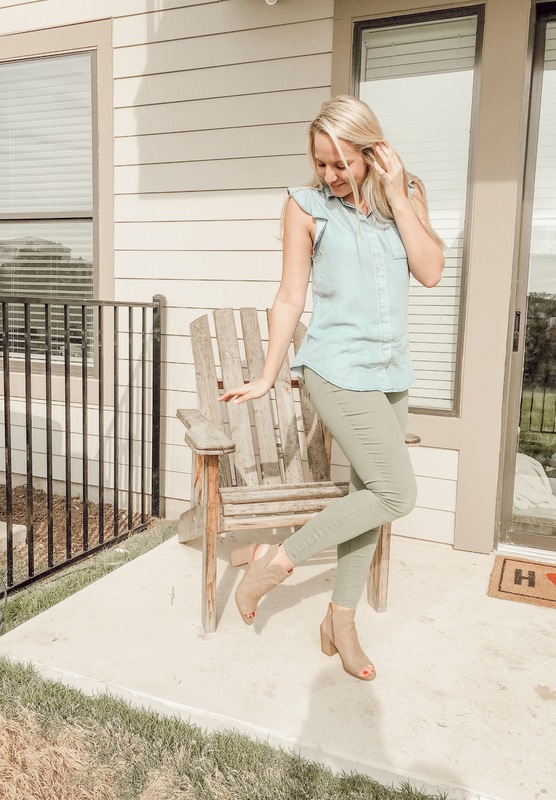 So I know I posted a shirt last week that was BLUE and has RUFFLED sleeves – oops! I think I may have gone a little overboard as I bought a few shirts that ALL look very similar. I think the ruffles got me this year. But that’s okay – it’s still a super cute shirt that can be worn with almost anything. For this post I paired them with olive colored jeans but have also worn them with a dark pair of blue jeans…jean on jean…yes please! This ruffled beauty is from Who What Wear collection at Target && is $24.99. It’s much cuter on that the pictures give it credit for! I’m wearing size Small. There so many other things I’m excited to share with you guys! I hope you enjoy these weekly Wednesday posts! Let me know your thoughts about the outfit.